ONTARIO, CA — As their parent teams finalize a series in the first round of the 2016 Stanley Cup Playoffs, the American Hockey League affiliates of the Los Angeles Kings and San Jose Sharks begin their best-of-five game series on Friday afternoon in San Jose. At season‘s beginning, the Pacific Division was a new standard for the AHL. Now it gets one of California‘s top rivalries between two of the premier California organizations, as the Ontario Reign and San Jose Barracuda will keep the organizational on-ice rivalry fresh as they square off for a best-of-five game set in the first round of the Calder Cup Playoffs pitting Southern California vs. Northern California, just like the Kings and Sharks. The Kings trail the Sharks in their best-of-seven series, 3-1, with Game 5 scheduled tonight at Staples Center in Los Angeles. In its 80th season, the Calder Cup Trophy has only been raised by the same franchise in back-to-back years eight times. The Reign, who won the Calder Cup as the Manchester Monarchs last June, are looking to become the ninth group to win the trophy in consecutive years, and just the third in the past 30 years, and will have the help of twelve returning players from last campaign‘s run. Ontario‘s current roster brings 451 games of professional playoff experience with it, which plays much larger than San Jose‘s combined 154 games. This is helped by Ontario‘s seventh straight appearance in the Calder Cup Playoffs (the previous six as the Monarchs), and only San Jose‘s second trip in the past six years (as the Worchester Sharks). Coming off a first-round elimination, the Barracuda will return just eight players from last season‘s playoff roster. Four of the players on the current Reign roster have past experience in the Stanley Cup Playoffs. However, none are as important as defenseman Jeff Schultz, who not only lifted the Calder Cup over his head last year, but the coveted Stanley Cup as well with the Kings in 2014. “We do have some guys who have some valuable experience in a winning environment that is going to help the younger guys,” Stothers said. “We‘ve got guys who have never played in any playoffs, we‘ve got some guys that have played a lot. We‘ve got a few guys who‘ve had the ultimate success, Schultz winning the cup with the Kings is a pretty valuable guy to have in your room—Stanley Cup Champion. Budaj also won the Harry “Hap” Holmes Memorial Award for his league leading goals-against average, with a minimum of 25 games played. All that comes on top of his 42 wins in net, which had also not been seen in the AHL in more than 50 years. Between twelve regular season matchups between the Reign and Barracuda, Budaj is no stranger to the San Jose offense. However, he has no fear of any reports they may have based on past games against him. With the help of Budaj in net, the Reign defense led the league by a large margin with the sixth-lowest goals allowed average in AHL history at 2.0294. Defense wins championships, especially when going against the 11th ranked offense in the league, and San Jose, which scored 2.91 goals per game, has a slight edge on Ontario, which averaged 2.82. It nearly goes without saying, but to maintain a strong defense,a team must have the ability to kill penalties. The matchup of a penalty-kill and power play can make or break a playoff series, and if the regular season is any indication, this could make for a fantastic series. As reported earlier, Ontario was dominant defensively, and their penalty-kill was no different, with an 88.7 percent rating. The battle becomes easier, as San Jose only converted 15.4% of their power plays, ranked 24th in the league. Mersch scored one-sixth of the Reign‘s power play goals, with his front-of-the-net style of play. Known for driving to the net, grit, and the ability to score near the net, the 23-year-old Kings‘ prospect still plans to be around the net to collect rebounds or retrieve pucks and finish plays near the crease. Despite all the statistical advantages, the Reign aren‘t taking this series lightly, noting that San Jose has both depth and talent to match up and make it a challenging series in the first round. Like the Reign, the Barracuda are solid in goal, with Aaron Dell sporting the third-best goals-against-average in the Western Conference at 2.42 and fourth-best save percentage in the league at .922—he has been a burden for the Reign offense throughout the course of the season. The series will begin with a two-game set on Friday, April 22, in San Jose, and then its back to Ontario and Citizens Business Bank Arena for Game 3, and if necessary, Games 4 and 5. Though it isn‘t a convenience for the Ontario players, it‘s something they know helps with the travel and doesn‘t take them out of their comfort zone. Citizens Business Bank Arena played host to 34 home games for the Reign during the regular season, averaging 8,570 fans per night, which ranked fourth across the league. When the team returns home on Thursday, April 28, for Game 3, Stothers hopes the fans blow the roof off with playoff spirit. 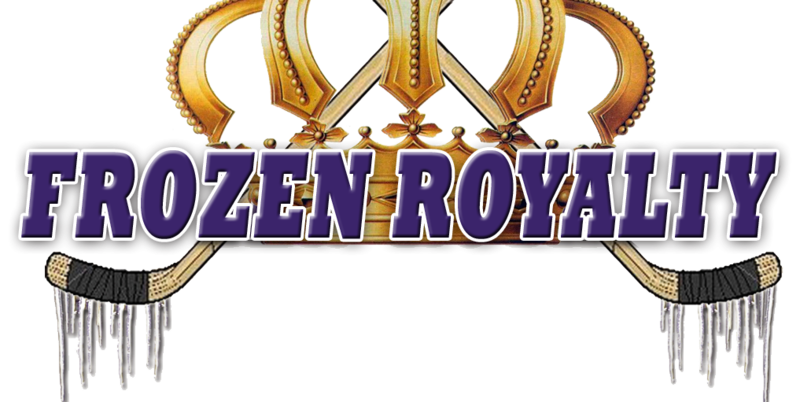 The Reign will travel north without newly assigned Kings‘ prospects, Michael Amadio (third round pick, 2014), and Spencer Watson (seventh round pick, 2014). The 19-year-old forwards will not make their professional debuts on the road with the Reign, but were guaranteed they are important to the team as a whole. Game 1 against the Barracuda will mark the beginning of the current AHL champs march towards defending their title, an accomplishment the team set out for prior to the first puck drop of the season. Short series are always challenging because there‘s little room for mistakes. San Jose has plenty of depth, particularly up the middle, but are very young at nearly every position away from center. Youth can lead to mistakes, and the Reign are far from youthful. The Reign defense is near record-breaking with Budaj actually breaking records. Defense, goaltending and experience will win this series for the Reign, but it won‘t come easy. Dell will be the difference maker for San Jose, but he isn‘t likely to be enough. Prediction: Ontario in four games or less. Follow Taylor Blake Ward on Twitter at @TaylorBlakeWard.